Not all glue boards are the same. 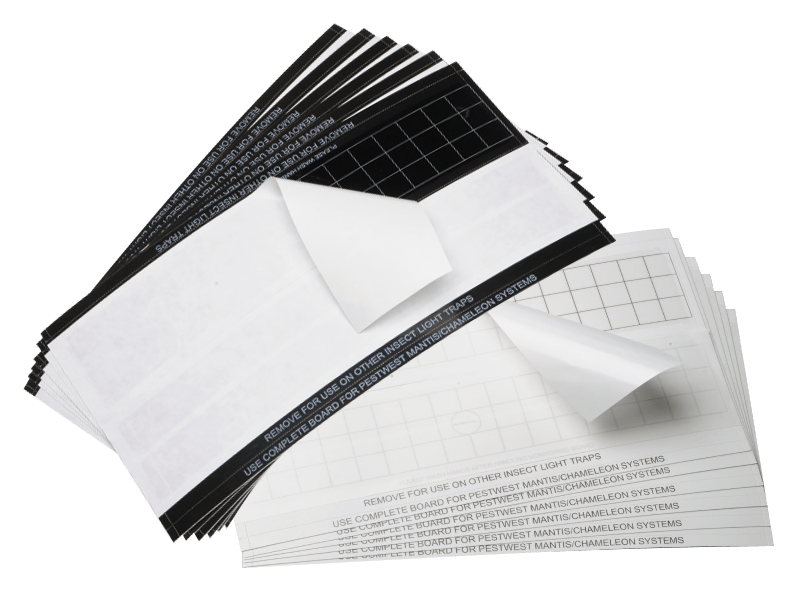 The PestWest® Universal Glue Boards are available in both discreet black and “high definition” white and have been used in a wide variety of applications even OUTSIDE of the light trap. Used around homes and restaurants as an insect monitor, around plumbing monitoring insect access spots (scorpions, brown recluse etc) captures small invasive vertebrates, among many other uses. Certainly the preferred board for all non-chemical applications and is your watch-dog when you’re not on the scene. Directions for use are available in English and Spanish. Universal Glue Board – Safety Data Sheet.